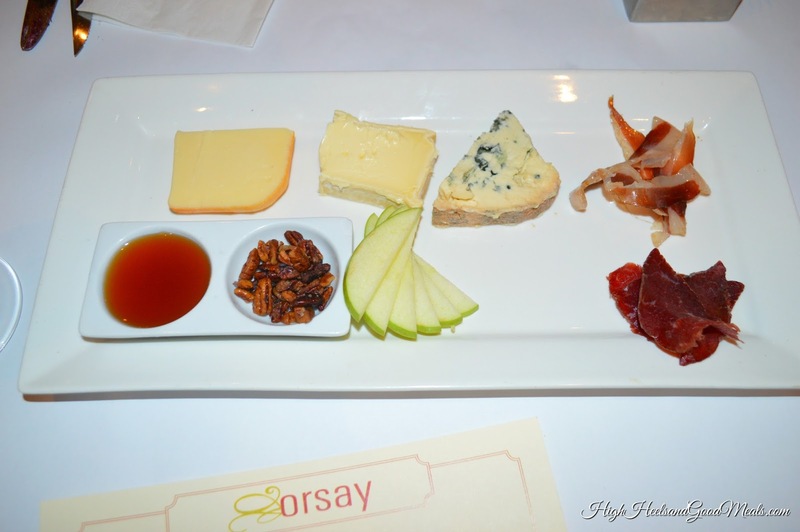 I had the pleasure of attending a brunch event with the NomNomJax crew last weekend at one of the best French restaurants in Jacksonville, Orsay! I hadn’t been back to Orsay since before I started blogging so I was excited to return after such a long time! 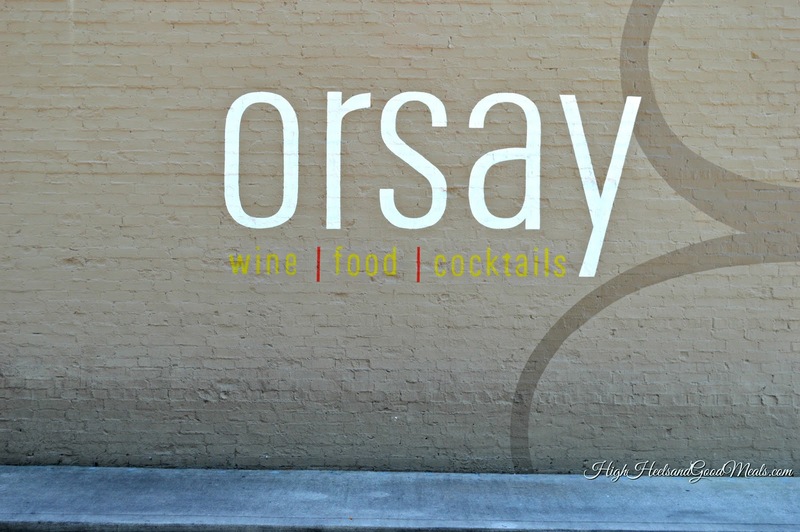 Even after my hiatus, Orsay is still high up on the list for being one of the best restaurants in town. 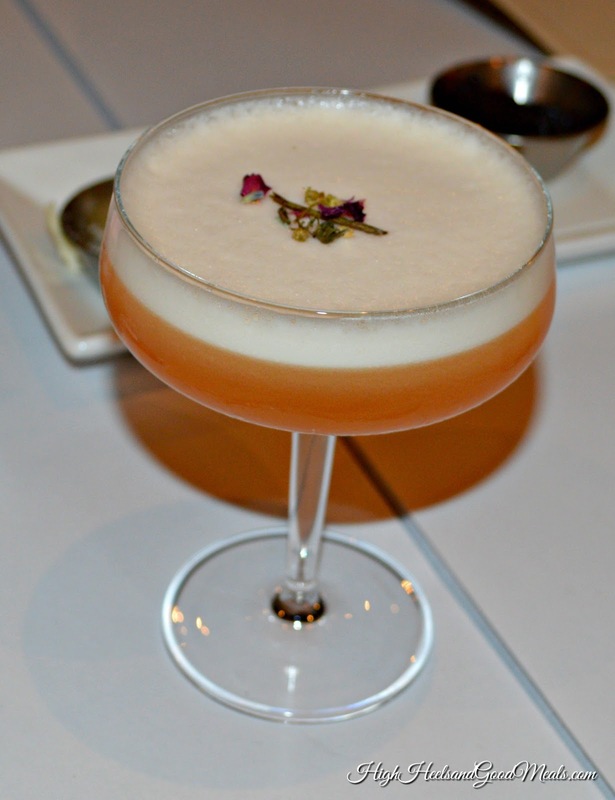 You can’t have brunch with out cocktails, right?!?!?! 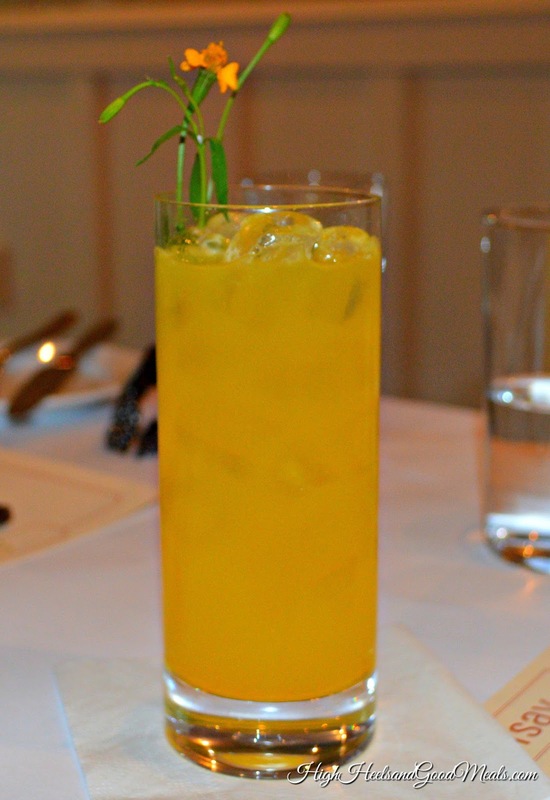 One thing to honorably mention about Orsay is their impressive craft cocktail menu. 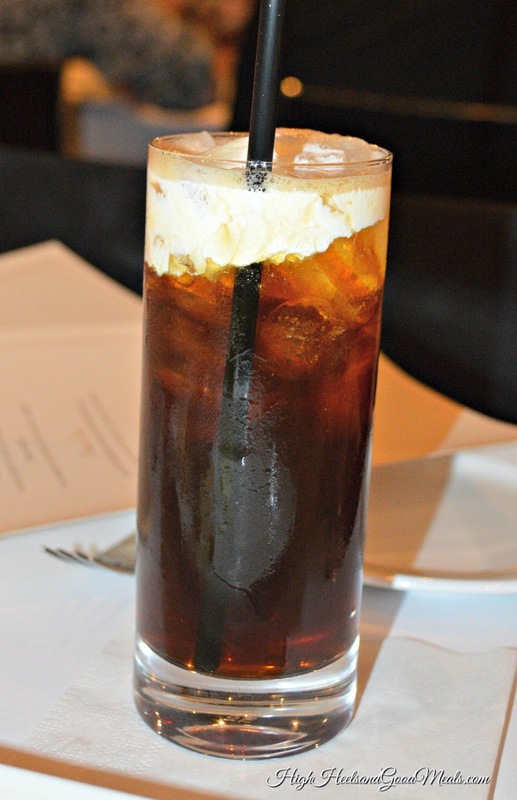 For all coffee lovers out there, you have to try the Irish Iced Coffee! It’s made with espresso infused Irish whisley, Bold Bean 24 hr. slow drip, and heavy cream. It’s sure to wake you up, all right!!! Forgive me but I don’t remember the middle drink but the one on the end was The Farmer’s Mule made with fennel infuse vodka, tumeric-ginger syrup, lime juice, honey, walnut bitters, and ginger beer! YUM right!?!?! 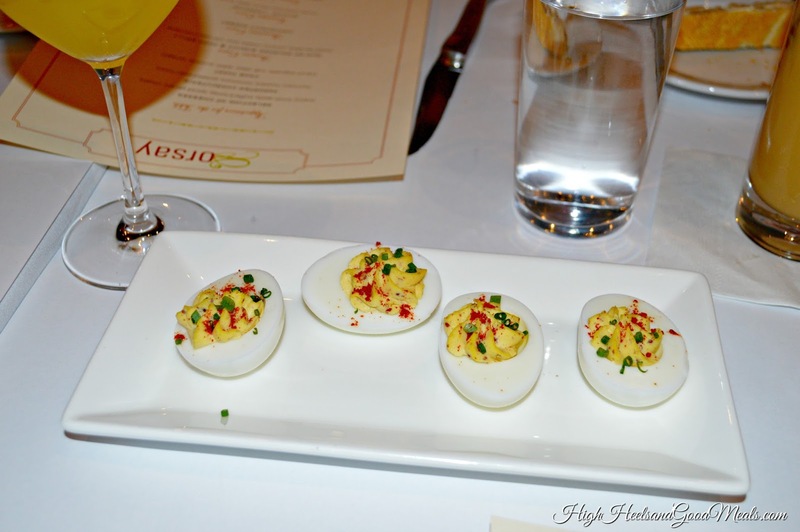 For starters, we had the original Orsay “oeuf du diable” or the One Dollar Deviled Eggs! It really does remind you of your grandmother’s deviled eggs with the sweet and savory yolk, topped with sliced scallions and cayenne pepper. Delicious! Next, we enjoyed a selection of cheeses with duck prosciutto, Granny smith apples, truffle’d honey, spiced pecans, ham, and crostini. I really enjoyed the prosciutto and truffle’d honey. They both had a very unique taste. 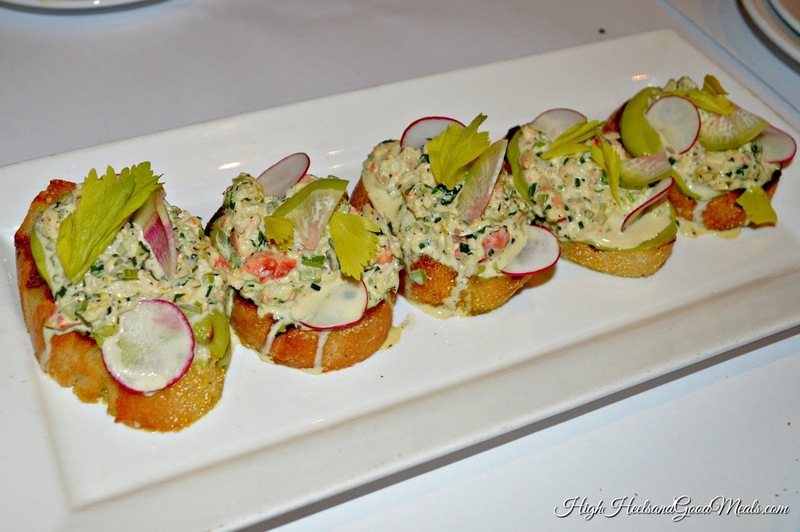 Crab Toast: This dish was SO AMAZING! The crab salad was made with radish, avocado. tarragon, and cayenne and was served on top of toasted brioche. I’m telling you, Orsay needs to add this as a regular item on their menu! I’m pretty sure it would be a hit! 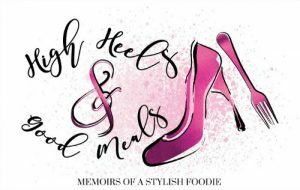 The flavors mesh together beautifully and it has a little kick to it! I think this is a dish I will try to recreate at home. Duo of Sausage Biscuit & Pork Belly: Ok seriously, if you tell me there is going to be pork belly on the menu, I will probably give you a hug! 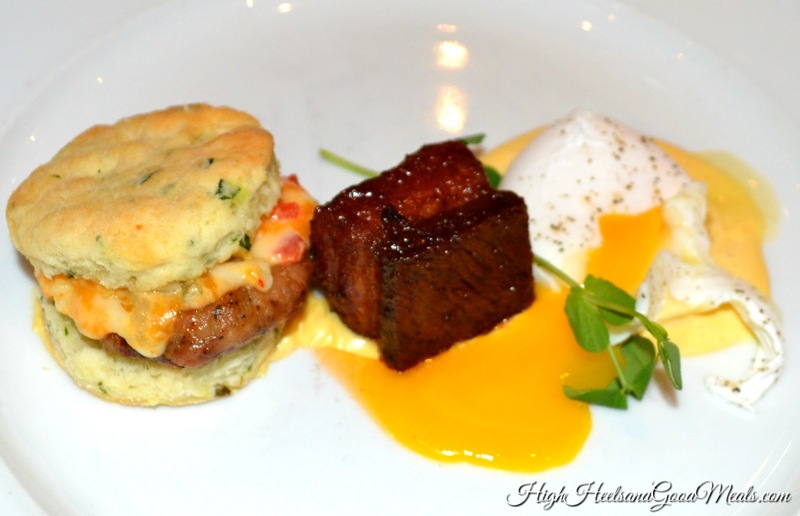 The biscuit was sweet and savory with pimento cheese and sausage with a sous vide egg and hollandaise sauce. The sausage biscuit and egg was nice but the star of the show was the pork belly! It was perfect! 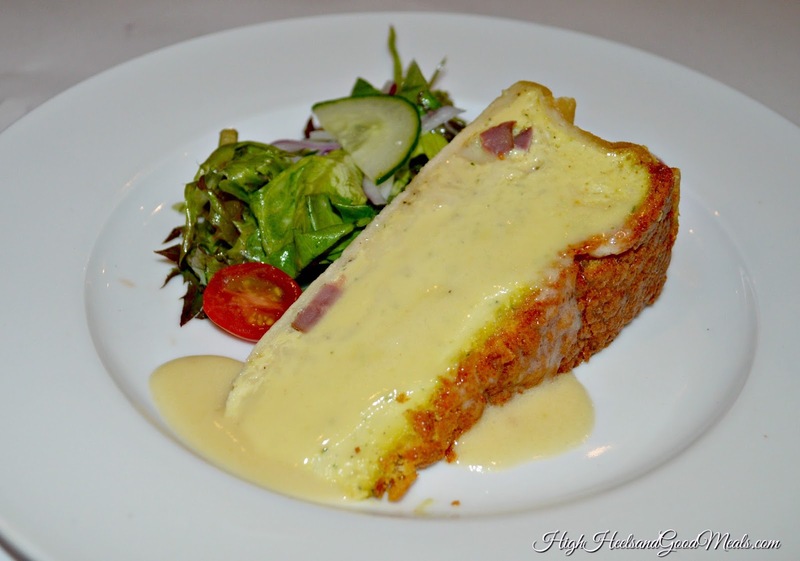 Quiche Lorraine: This quiche was made with house cured duck bacon, leeks, and Gruyere cheese. It was least favorite of the afternoon. It was the texture I didn’t like. I prefer the crust on my quiche to be flaky and the eggs to be firmer and this was the opposite. The accompanying salad was delicious though! Petit Fours: No meal is complete without dessert and we had plenty to choose from! 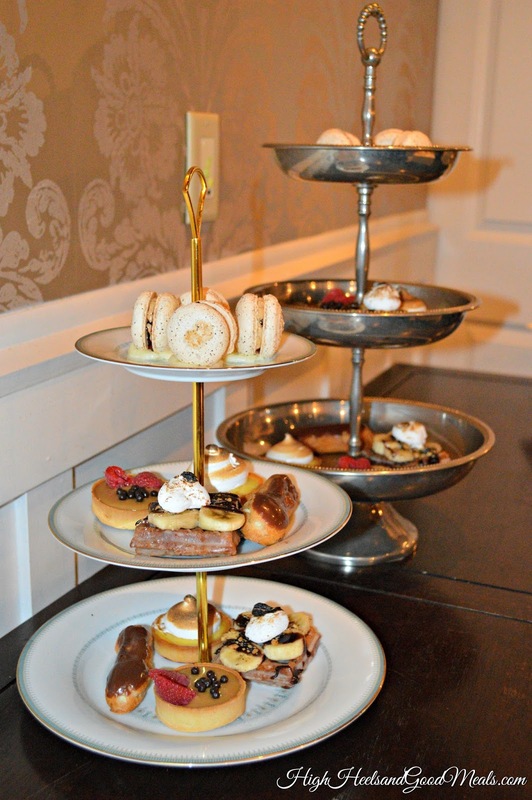 The petit fours included the infamous Banana Smores Wonut, Lemon Meringue Tart, Vairhona Dulcey Chocolate Tart, Assorted Macarons, and Vanilla Eclair. Banana Smores Wonut: This wonut though!!!! Man oh man oh man! I had to give this beauty its own feature. 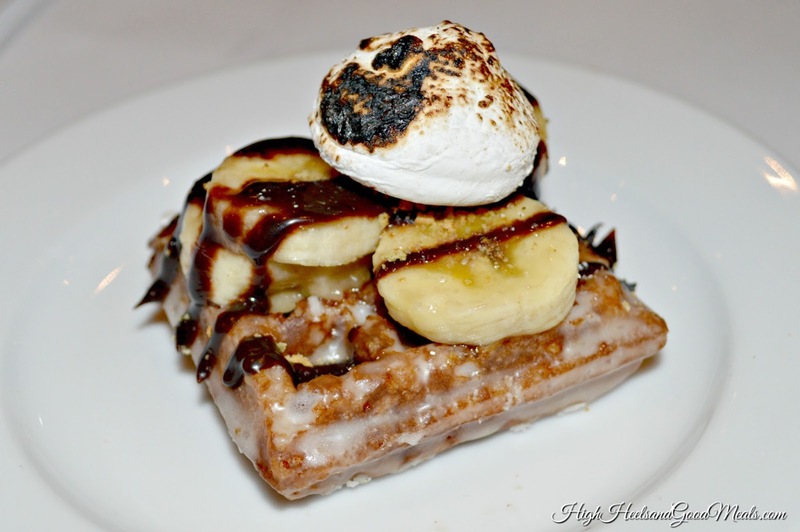 It is a mix between a waffle and a donut and YES, it definitely is as delicious as it looks. I was already full but I scarfed it down because there was no way I was going to leave any of it on the plate. As expected, Orsay did not disappoint. 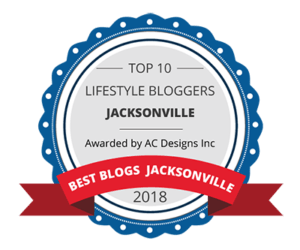 I’ve always enjoyed their food so it’s no wonder they are repeatedly on everyone’s “Must-try” restaurant list for Jacksonville so if you ever get the chance, you “must-try” them! As always, thanks so much for stopping by! Have a marvelous week! Previous Post Wake. Pray. Slay.